Tucked within a small area on planet Earth is Singapore, a city-state that never sleeps. It bustles with activity day or night and is a veritable playground for night owls who require or want little sleep. Singapore is also known as a food paradise with good reason. This cultural melting pot has produced some of the most delightful chow you can find anywhere in the world. It has also drawn world-class chefs to set up shop on its humble shores. As a resident of Singapore, good food is simply never far from your fingertips, and it doesn’t matter what time of day or night. Did you just come out of a late night movie at The Cathay or wander out from a long karaoke session? Chances are you’re feeling a little hungry. 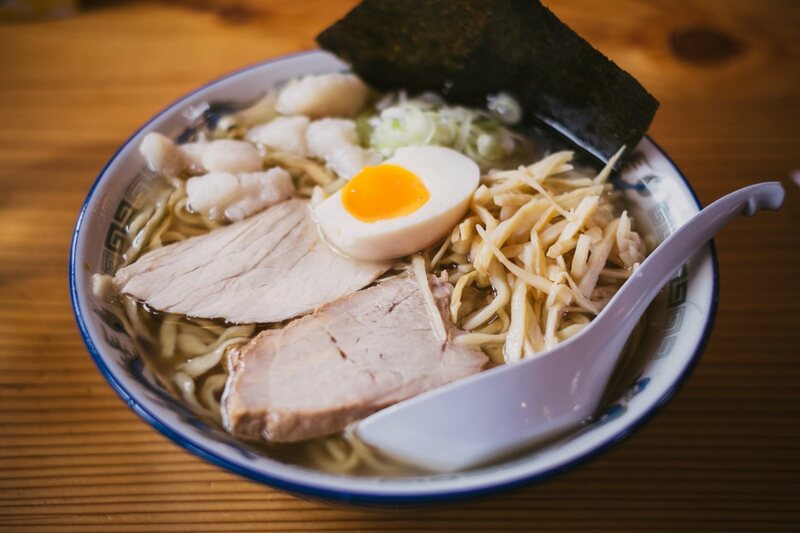 Instead of the usual trek to the 24-hr McDonald’s, how about heading over to The Ramen Stall on North Bridge Road instead? Open till 5:00am, this halal stall is guaranteed to satisfy and soothe a growling tummy with a piping hot bowl of ramen in a savoury chicken broth that comes complete with a braised egg and a perfectly liquid golden yolk. Yum. O’Coffee Club is a local cafe chain that first opened its doors in 1991 and is going strong despite the ever-increasing competition in the coffee business. Their outlets in Terminals 2, 3 and 4 in Changi Airport are open 24 hours and are a perfect stop if you’re hankering for an all-day breakfast meal. With options such as eggs benedict, waffles and french toast on the menu, and a fresh hot cup of tea or coffee to wash it all down, it’s really an easy choice to make. Hey, it’s practically time for breakfast anyway. Located at 2 Short Street, this stall has been in operation since 1960 and opens till 1:00am most days and until 3:00am on Friday and Sat. When it’s late at night, sometimes all you need is some classic sweet comfort food. And what could be more comforting than a hot, sweet bowl of tau huay (hot beancurd) and youtiao (fried dough fritter)? The stall also offers other yummy fried dough snacks including hum chim peng, butterfly fritters and curry puffs, along with egg tarts, chin chow (grass jelly) and more. The KPO Cafe Bar at 1 Killiney Road is an excellent option if you’re in need of a hearty late night meal. We highly recommend their KPO Hokkien Mee that is cooked with premium ingredients and has definitely got wok hei. Another top contender is the Wagyu Capsule, a crispy baguette that is filled with juicy wagyu beef cubes. Open till 1:00am from Mondays to Thursdays and till 2:00am on Fridays and Saturdays (closed on Mondays). If you can stomach it, Chuan Chuan Le at Jalan Besar is a spicy hot offering that is open till 4:00 am daily. Enjoy all your favourite mala and Sichuan dishes and sample their selection of grilled skewers—chicken wings, tofu, prawns, mutton, squid and more. Balance out the heat with their homemade honey lemon or sour plum drink. Since you clearly aren’t getting your beauty rest, how about making up for the lack of sleep with a collagen-filled hotpot, which when consumed, is supposed to improve the quality of your skin? Beauty in the Pot, located at Kinex along Tanjong Katong Road, is open till 3:00am daily and has two signature broths, the Beauty Collagen and the Spicy Nourishing Broth. Do note that in both cases, shark cartilage is the main ingredient. The choices of hotpot ingredients are also of above average quality, with wagyu beef and kurobuta pork on the menu. A happy indulgence that promises to leave you looking better than when you came in? I’m down with that! Open until 2:30am every day, JB Ah Meng, located in Geylang, has all the classic zi char dishes like garlic chilli lala, crispy pork belly, and counts their san lou beehoon and white pepper crab as crowd favourites. Dine here and you’re in good company. Renowned chefs from around the world including Ferran Adria, Gordon Ramsay and Anthony Bourdain have all enjoyed a meal here. We end this exalted list of late-night eats with the supper to end all suppers, Teochew porridge. Found along Cheong Chin Nam Rd, this eatery is open till 4:00am in the morning and will fill your tummy with a steaming, hydrating hot bowl of palate cleansing porridge, which is accompanied by a plethora of simple yet savoury and satisfying dishes such as steamed peanuts and black bean minced pork. If there’s one dish you need to order, it’s their very popular braised duck leg—you won’t regret it. A hearty yet affordable option.